Way back in the mists of time, long before many of you were born (well, alright – the 1970s) I first discovered Russian culture, literature and the history of the Russian Revolution. This was due in the main to studying the Revolution in History at school, but a large part of my love for the country and its past was because of seeing the film of “Doctor Zhivago” at the cinema. The movie was released in 1965, but I caught it on a re-run tour at some point in the early part of the 1970s, purely by accident as we were meant to be going to see something else but the showings were changed. I was captivated by the landscape and the romance – not so much of the central characters, but of the revolutionary zeal, the fighting for freedom and the complex interlocking of the various protagonists. Is there anyone who doesn’t know the plot of “Doctor Zhivago”? An epic romance between the titular medic and Lara, whose lives constantly keep crossing, against a background of revolution and civil war; an all-star cast and plenty of drama and big, big scenery. So is this an accurate representation of the book, or did the film-makers change the storyline much? The short answer is, yes – it does change the book. The book is such a large, involved, and yes epic tale that to try to summarise in a blog post would be foolish; let’s just say that it *does* tell the tale of the life of Yuri Zhivago, his growing up as an orphan, his love for his wife Tonya and for Lara Antipova (with whom his life seems completely entwined), his trials and tribulations during war, revolution and civil war, and finally a kind of stability. However, this rather simplistic view (which was very much adopted by the film-makers) really doesn’t do justice to the depth and complexity of the novel. In fact, in many ways “Doctor Zhivago” is about Russia and its revolution, and the human characters who play out their lives during the tale are there to represent the different aspects of life at the time. The war made an artificial break in life – as if it could be put off for a time. What nonsense that is! The revolution broke out willy-nilly, like a breath that’s been held too long. Everyone was revived, reborn, changed, transformed. You might say that everyone has been through two revolutions – his own personal revolution as well as the general one. There’s a large cast to the novel, many (or maybe even most!) of whom are missing from the movie; including Yuri’s lifetime friends, a number of different families, many of the working and revolutionary people and also politicians and partisans. In fact, the book is rich with characterisation, so much so that it does occasionally become a little confusing. There is, however, on Wikipedia a clever diagram showing all the interrelations which is very helpful. Yuri Zhivago is something of an everyman (and perhaps stands in for Pasternak himself). Although from the monied classes, he sympathises with the aims of the revolution and believes in a need for equality. He is, however, very human and suffers guilt and sorrow when away from his wife Tonya and family, despite also loving Lara. The latter, too, is a much more rounded character than the Lara of the film. One thing I always struggled with is Julie Christie’s portrayal – and having read the book, I can see how different she is from the Antipova in the novel. 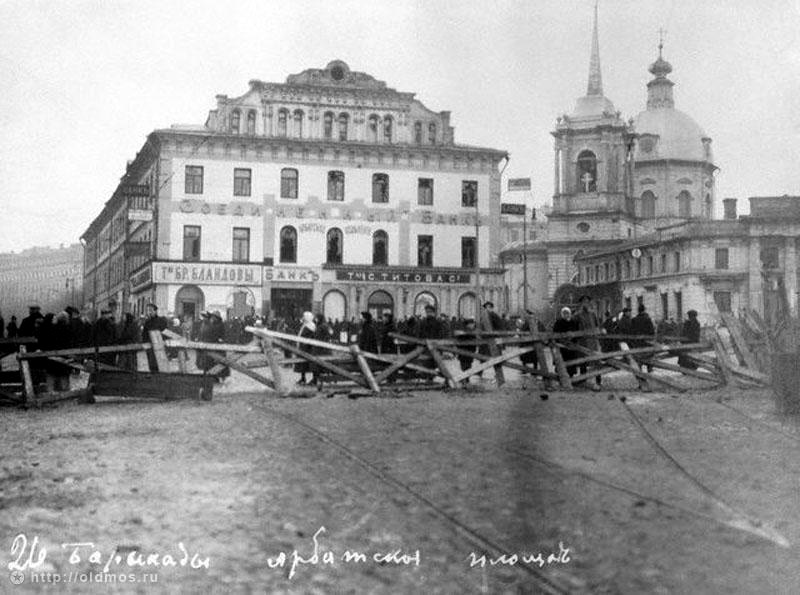 Physically she’s wrong, and crucial things in the book that made her what she was are watered down – in particular, her horror at the abuse by the lawyer Komarovsky (whose nastiness runs through the book as a continuous thread) is much more clearly defined here as she is considerably younger in the book than in the film, which explains her character so much more. I never found Christie a credible Lara, but the novel version is completely understandable and noble. There is a wonderful episodic quality to the book, with the narrative jumping on through longer periods of time in places, providing vignettes of the lives of the interlinking characters as they face up to the changes in the world around them. The breadth and dept of the tale is missing from the movie – the balance has gone, and the film is simply a love story set against the revolutionary backdrop, whereas the novel is a much more sweeping narrative, that of the revolution itself seen through the eyes of the many characters living through it. A few minutes later the street was practically empty. People were scattering down the side-streets. The snow was lighter. The dry evening was like a charcoal sketch. Then the sun, setting behind the houses, poked a finger round the corner and picked out everything red in the street – the red tops of the dragoons’ caps, a red flat trailing on the ground and the red specks and threads of blood on the snow. 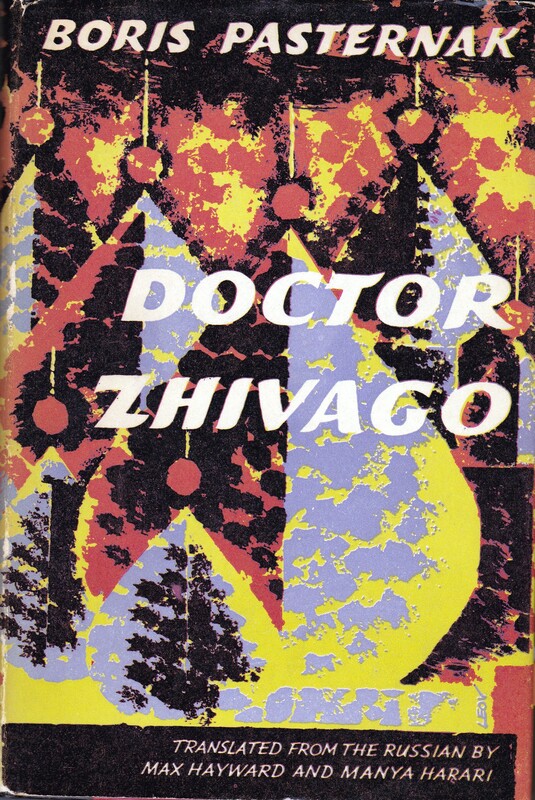 “Doctor Zhivago” of course has quite a history; it was rejected for publication in “Novy Mir”, smuggled out to the West and translated and distributed rapidly so that the authorities there could use it to make political capital against the Soviet Union. 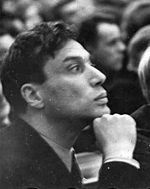 Pasternak was awarded the Nobel prize but unable to accept it because of the hostility and outcry in his own country; the novel was perceived as critical of the regime because it took the view of the individual as more important than that of the state. It wasn’t until 1988 that the book finally appeared in the pages of “”Novy Mir”. Everything established, settled, everything to do with home and order and the common round, has crumbled into dust and been swept away in the general upheaval and reorganisation of the whole of society. The whole human way of life has been destroyed and ruined. All that’s left is the bare, shivering human soul, stripped to the last shred, the naked force of the human psyche for which nothing has changed because it was always cold and shivering and reaching out to its nearest neighbour, as cold and lonely as itself. Pasternak’s novel is a mammoth achievement; it’s a portrait of Russia while the country was going through unprecedented changes; it contains wonderful, living characters who experience these changes; it shows the flaws and the strengths of human beings put into extreme situations; it discusses issues and beliefs and equality and justice; and it paints magnificent pictures of the landscape. There are dramas and events and situations and places that will stay in my mind forever and the book has most definitely overtaken the movie in my mental landscape. In some ways this has been a hard review to write; I didn’t want to just keep comparing the book and film versions, and saying how much better the book is (because it is!) but that’s kind of become inevitable. The film had a pivotal effect on my life and my love of Russian literature and culture; but the book is a magnificent work of art, so much stronger and more powerful than the watered-down version presented on screen. It’s not always an easy read, but I’d most definitely recommend it – the book is *always* better! On the subject of translations, I read the original from 1959 by Max Hayward and Manya Harari. Current wisdom will have you believe that this is not a very good version and that there are bits missing and it’s best to read the shiny new version by the current favourites of the mainstream translation world. I would say, don’t; stick with the original because it’s a far superior rendering in English. Having looked at the recent translation over the weekend in Foyles, the first few pages struck me as clunky and unpleasant – I wouldn’t touch it with a bargepole, and neither would Pasternak’s niece, who stated in the Guardian: “It’s instructive to check Volokhonsky-Pevear’s English against the Russian. Its painful ineptitudes can regularly be defended by a Russian source. Yet the original isn’t inept. It’s simply been badly translated. Pasternak’s Russian is packed, concise, colloquial and muscular. Volokhonsky-Pevear’s English is prosaic, flabby and verbose. It often renders Pasternak’s more philosophical passages incomprehensible. It’s far worse than the compact, natural and always lucid prose of Hayward and Harari.” The rest of the article is here and it’s interesting reading! I guess most readers will have had that thing where a book or an author keeps floating into your line of vision, until you just think that you better get on and read it so it stops bothering you! I had that last year with this book, which turned up regularly on my Big River recommendations, as well as on a number of blogs I was following. So when I stumbled on a nice hardback copy for £2 in an Oxfam shop just off the King’s Road, picking it up was a no-brainer. The book opens with our unnamed narrator having a holiday at a writer’s retreat in Riga, on the Baltic. As he’s a young man, naturally much of his time is taken up with thoughts of girls – his beloved Lida Snegina, whom he’d been seeing in Moscow, plus a local beauty who reminds him of Lida. He befriends the local girl, telling her of the Albanian legend of Constantin and Doruntine, whereby a dead boy returns to bring his sister home for a celebration, fulfilling his promise to his mother. The legend informs the rest of the story and recurs throughout, in strange ways. Shortly after this, Pasternak is awarded the Nobel Prize and a media storm erupts (not unlike a modern Twitter-storm, except this is in the form of radio and newspapers). The narrator is already disillusioned with the factory-like methods at the institute, where all the books turned out are Socialist Realist pap portraying idyllic peasants; therefore, he’s not really surprised at the reaction of the authorities. 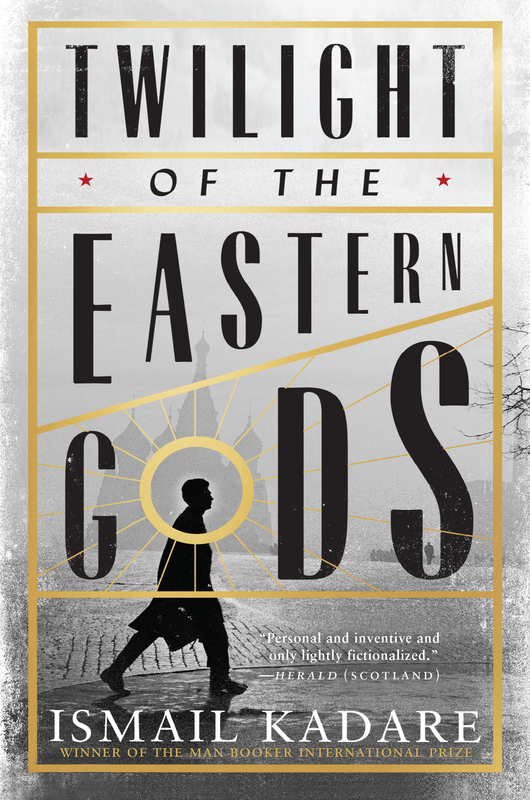 As the anti-Pasternak campaign howls through Russia like a Siberian wind, the young man lives a kind of precarious half-life, waiting to see whether he will have to leave Moscow and whether he can resolve the situation with Lida. If I’m honest, I’m finding hard to decide what to say about this book; I wanted to like it a lot more than I did, but I ended up thinking that it was too fragmented, not coherent enough. The mix of the Albanian legends and the narrator’s odd relationship with Lida didn’t sit that well alongside the narrative about Soviet literature, and the Pasternak element was actually quite minor; almost something of an aside. I did enjoy reading “Twilight” but I didn’t really feel any link with the characters, and in many ways where this book worked best for me was in its portrait of the Moscow students and literati of the time. Many of the characters are based on people who were really at the Institute with Kadare, and many were real Russians like Yevtuschenko. It might be that this story would have worked better as a simple memoir of Kadare’s student years, but as it was things didn’t quite gel for me. Nevertheless there was plenty that was enjoyable in the book (excellently translated, as usual, by David Bellos who also provides an essential foreword). The writing is lovely and Kadare is really good at catching the atmosphere of a place or time. He also captures the uncertainty of 1950s Moscow quite brilliantly, with the narrator’s insecurity, the never quite knowing what’s going to happen next. I’m glad I’ve read Kadare and I do have another of his works on the TBR – so maybe a further volume will change my mind! And everything rejoices and revives. The lilac drinks the air of paradise. Makes all you see appear alive and new. Beyond the blackest cloud the height is blue. Wipes dirt and dust off objects in his path. Emerge transformed out of his colour-bath. Like swiftly passing thunder dies away. High time to let the future have its say. Happy birthday to the author of the great “Dr. Zhivago”!